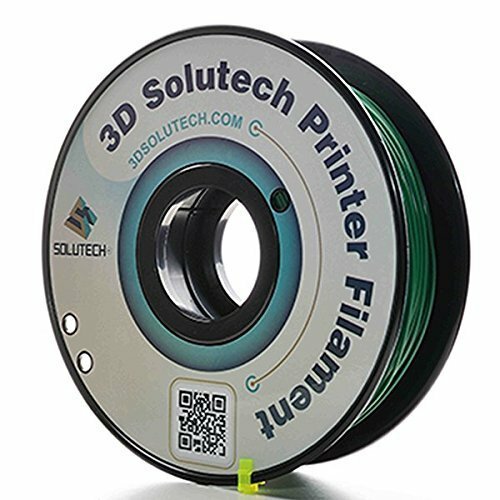 3D Solutech Real Green 3D Printer PLA Filament 1.75MM Filament, Dimensional Accuracy +/- 0.03 mm, 2.2 LBS (1.0KG) - 100% USA by 3D Solutech at In The National Interest. MPN: PLA175RGRN. Hurry! Limited time offer. Offer valid only while supplies last.